What Parents Need to Know about Pink Eye​? Each year, conjunctivitis is the cause for many missed school days. 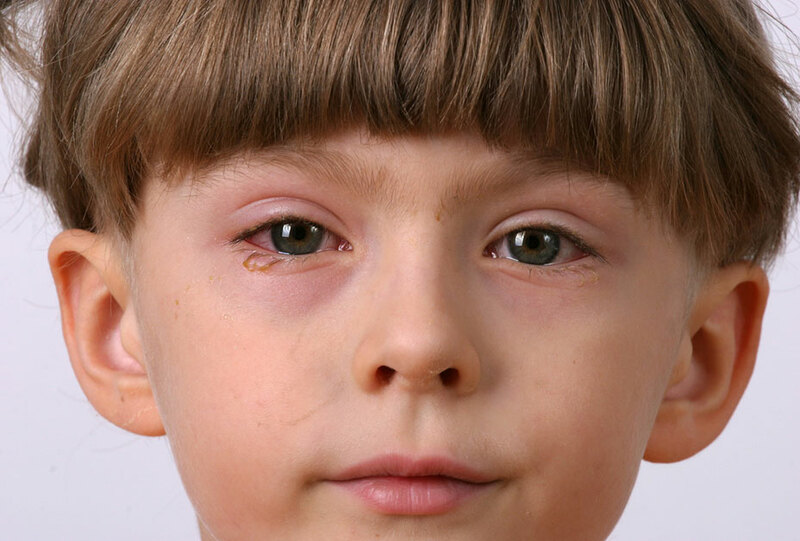 In general, conjunctivitis remains contagious as long as the eye tears and produces discharge. Once these symptoms are gone, it’s safe for the child to return to school or child care. Some schools may require a certain wait period before the child can return. Pink eye symptoms usually improve in three to seven days, but some viral infections can last up to 2 weeks. Take your child to an ophthalmologist to ensure they get proper treatment. My seven year-old son was prescribed glasses a year ago after "failing" his checkup. This came as quite a surprise as he is an advanced reader, does very well at school and plays sports without issue. After a year he still insists that the glasses don't help. He will wear them because he is a good boy. He says they make things bigger, but that it doesn't make it any easier. He is a bright boy, and I believe he is telling the truth. Should we insist he wears them? Rather than insist that your child wear glasses that he feels do not help him, I suggest that you seek a second opinion. You child has probably been given a prescription for hyperopic (farsighted) glasses. Most children with mild hyperopia see well without glasses and therefore do not need glasses. There may be other reasons why your child may need glasses, such as to keep the eyes straight or to prevent headaches. A second opinion can help you to make an appropriate decision regarding glasses.